One of these days I need to check to see if these covers go together somehow. 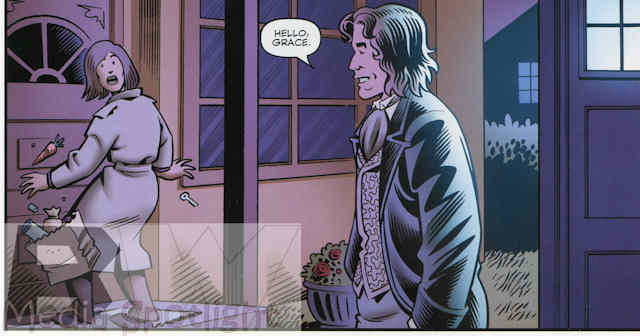 Now in his Eighth incarnation, the Doctor goes back to Grace and tries to convince her to travel with her. He shows her some sights, but the TARDIS can’t help but drive him to a planet where people need help. Aliens have erected cities and offer to help the locals, but that help comes with a price and our heroes think it’s too high. It’s not enough to convince Grace to travel with him, but try telling that to the guy who keeps grabbing Companions. What they got right: Langridge’s art is great as is his designs for the invaders and cosmic wonders. The story is one of the better of this maxi-series and plays well to the space involved, something I haven’t been able to say about a lot of the previous stories. What they got wrong: I know why they went with Grace but it was still wrong. Her story with the Doctor was over and there was no need to bring her back for this story. If you really wanted one from the movie, why not Chang Lee? I think he would have made a great Companion. Better yet, I’d go with Charlie Pollard from the audio dramas or even Lucie Miller, his most recent one. Or go to the comics and give us one last take with Destrii. Pretty much anybody who has worked with the Eighth Doctor except Grace. Recommendation: As one of the better stories in this piece, I almost want to recommend it above the others. It might make a good teaser but following the Doctors chronologically still gets a recommendation from me as well. I don’t care if her head shouldn’t turn that way, it was funny, darn it. 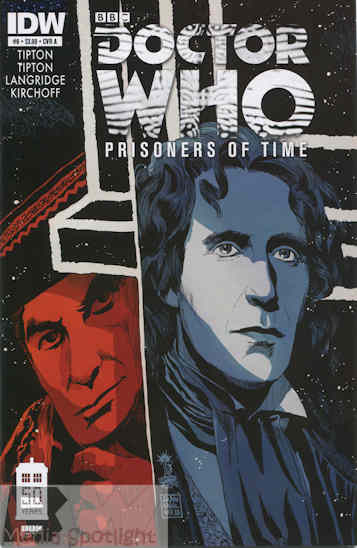 Posted by ShadowWing Tronix on September 2, 2013 in Movie Spotlight, Today's Comic and tagged Doctor Who, Eighth Doctor, Francesco Francavilla, IDW Publishing, Roger Langridge, TARDIS.